There has been an increase in the use of prepay meters for electricty in Ireland. The two companies that only offer prepay meters have seen an big increase in customers in the past 2 years. The idea of pre payment meters was initially aimed at people on lower incomes who may struggle to budget for large bills. With a pre pay meter you can only use the electricity you have paid for – so it is easier to control the usage. Some people choose to have them – thinking it will help them cut costs. Many landlords seem to like the idea of pre pay meters for their rental properties – so they don’t have any worries about outstanding electricity bills for tenants. 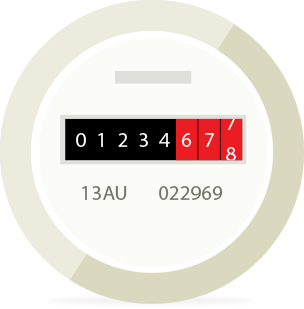 Normally – when you are on a pre-payment meter you will be put on the supplier’s highest tariff. But if you were to stick with a standard “credit” meter you will be able to get a wider choice of tariffs, including cheap introductory online deals and cashback for switching provider, direct debit discounts and more. So pre pay meters always end up being more expensive. There are 2 companies that specialise in offering only pre-paid electricity ( Prepay Power and Pinergy ) They will install a prepay meter for free if you switch to them as your electricity supplier. How Much Extra Does Pre-paid Electricity Cost ? Pinergy : The basic unit rate they charge is currently 21.42c per kWh – which is more than the Electric Ireland “Standard Rate” of 18.02c. BUT they also add on an annual service charge of just under €282 . So that means someone using Pinergy who consumed the average (4200kwh a year) amount of electricity would end up paying €1229 a year with a prepay meter. For comparison – the same electricity usage would work out at just €807 over the first 12 months if they switched to the current cheapest deal . That’s a difference of €422 a year . For people on low incomes – that is a very significant amount. PrePay Power charge a €324 service charge annually – but have a slightly lower unit rate than Pinergy (18.95c) . Using 4200 kwh in a year with PrePayPower would cost €1167. Pre Paid Electricity – A summary. Most of the major energy providers will usually try and make customers get prepay meters installed if they are in large amounts of arrears . This is to help stop the arrears increasing any more. (Installation is free in these cases). Bord Gáis Energy, Electric Ireland,Energia, Flogas and SSE Airtricity provide free PAYG meters for financial hardship for both electricity and gas. Most of the electricity suppliers (Electric Ireland, Energia . SSE Airtricity, Bord Gais Energy ) should install a pre-pay electricity meter for any customer that requests it – but there is normally a charge for it if the customer is requesting it . (At least €100) . The use of prepay meters might encourage people to use less electricity or gas (especially if they keep running out of credit !) But – in our opinion – for most people , it makes more sense to switch to the electricity supplier offering the lowest price deal – and then be pro-active about cutting down electricity usage rather than getting a prepaid electric meter installed. Of course in rented property , if you landlord has installed a pre-pay meter you may have no choice sadly. Pre Payment is made usually by the use of a payment card which can be topped up at many shops or over the phone with debit cards or credit cards. The pay as you go meters usually allow some emergency supply to continue even if the credit runs out . For example – if a customer runs out of credit Mon-Thurs: after 4pm the supply will not cut off until 9am the following day. At weekends – if the credit runs out between 4pm Friday and 9am Monday – the power will not cut off until 9am Monday. The cost of any power used after the credit ran out will be deducted from the next top up. Landlords find pre pay meters are useful for rented properties – it helps avoid the problems of large unpaid bills. The tenants might not be so happy with the idea though ! Some landlords will just force tenants to use prepay meters . Very good article, information on prepaypower and pinergy is hard to come by. People should contact Commission for Energy Regulation (CER) about what is happening. These are enticing those with low incomes into these schemes in which they will be charged more for their power thereby making their position even worse. If you contact the main suppliers, Electric Ireland, Airtricity etc and explain that you are fearful that you will not be able to meet a monthly bill it is in their interest to provide you with the prepay meter option. But again be careful as in most things in Ireland the money poor usually end up being screwed. Make sure you are told clearly if you will have to pay more using a prepay meter. The comment about Landlords being worried over large unpaid bills is misleading. Landlords do not need to worry about unpaid bills, the unpaid amount stays with the account holder (ie the tenant who left without paying the bill). Electricity companies will request perhaps a copy of a new lease as evidence that the previous tenant has departed, but other than that, the Landlord need not worry about any unpaid utility bills. You are correct Paddy – but I think there are many landlords who still think the easiest option for them is to get a prepay meter. It works out worse for the tenants of course.